Waupun Area School District provides bus transportation for eligible students 4K-12. The first day of school will soon be upon us and there are some things you need to be aware of. Prior to riding the school bus all students will need to have completed a Bus Registration Form to be eligible for transportation. Each student will only have one pick-up location and one drop-off location. Your cooperation for discipline and order lines of your children on the bus helps make a difference. If you have any questions regarding bus routes, contact Lamers Bus Company at 920-345-1469. If you have any questions or concerns regarding forms, students, drivers, in town shuttles, or discipline, contact Linda Smedema at 324-9322. All transportation forms (except 4K) are due back by Thursday, May 18, 2018 to be eligible for transportation for this coming year. Forms were mailed/sent home on May 2, 2018. Any questions, please call the transportation coordinator, Linda Smedema, at 324-9322. To download transportation form and guidelines click here. 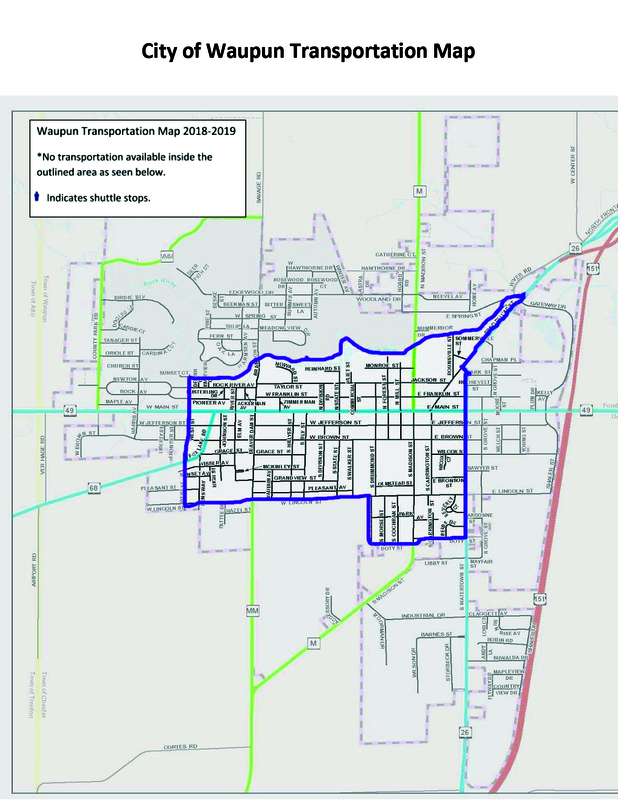 If you would like to download a City of Waupun Transportation Map. Click on this link.